The 1682 Brut has aromas of fresh granny smith apples, peach and overtones of freshly baked biscuits, and a creamy, yet fresh, mouth feel. 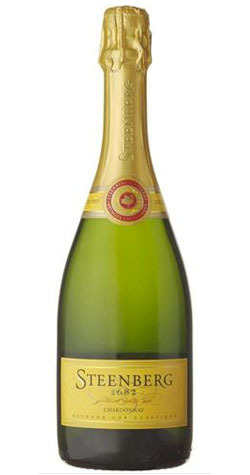 The Brut 1682 is Chardonnay based made in the traditional French method and is as such designated Methode Cap Classique. The Chardonnay was picked by hand at low sugar levels of 17 - 19°B and pressed whole bunch. The juice that is extracted is low in phenols, high in natural acidity and relatively neutral in terms of varietal flavour. This juice ferments with a strong strain yeast to form the base wine of the MCC. Once the base wine is stabilized it is fermented a second time in the bottle. This second fermentation creates the bubbles or mousse of the MCC. Post fermentation the bubbly was aged on its yeast lees for a minimum of 12 months up to 18 months. From Platter&#39;s of San Francisco, California on 8/5/2015 . Fresh, crip, citrus zing tempered a year on lees. A super aperitif.